Next Tuesday get your summer head on and maximise the lunch hour and nip over to SW7 for one of the Closer Look talks at the Victoria and Albert Museum as part of the V&A+RIBA Architecture Partnership. The health and wellbeing properties of water have been celebrated and exploited throughout history. Whether it’s the salt water of the sea or natural springs, ‘taking the waters’ has been a popular social activity for all areas of society. 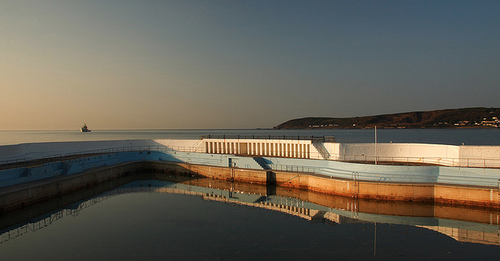 Using the RIBA Library collections, come and explore the design and architecture of pools, baths, lidos and spas. With Fiona Orsini, RIBA.